November and December marks the ski film release season. Last season, Total Heliski Legend Kent Kreitler was featured in 'McConkey', one of the most revered films of last season. 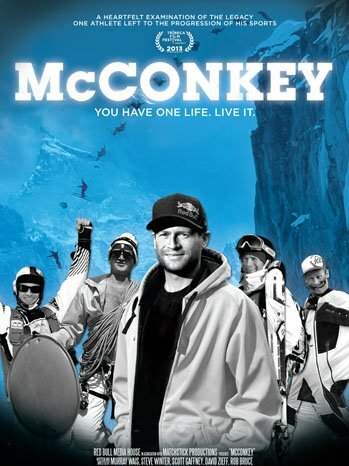 Aptly named 'McConkey' about the extraordinary life of the world’s most celebrated extreme skier, Shane McConkey. The film documented his rise to fame and corresponding achievements through the eyes of his family, and friends, of which Total Heliski Legend and extreme skier Kent Kreitler, who was Shane’s former college room mate heavily featured. Sadly, history was written and McConkey passed away in a wing suit flying accident whilst filming for Matchstick Productions in 2010. If you haven’t seen McConkey but, are interested in how the sport of extreme skiing was born and evolved, and about the man who largely shaped it (not to mention how he invented shaped skis from water skis), then this is a must see. But also, Total Heliski offers the opportunity for you to ski with absolute legends, including Kent Krietler via our Heliski with Legends' Programme. Kent specializes in Alaskan groups and we can still organize a tour with him guiding you in the peaks of AK for this season for you and your BFFs. Please contact us for more details.